Over the last couple of months I’ve found a few new versions of the cover to Crisis on Infinte Earths #7, the classic death of Supergirl, as well as a couple of better resolution scans of some of them. 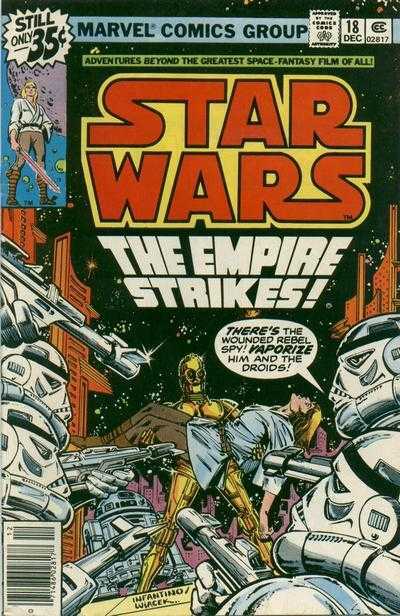 One of them, I admit, is a definite stretch but I had to include it for two reasons: first, it’s one of the original Star Wars covers from Marvel in the late 70s and that’s always a good enough reason to include it. Second was where I came across it. Even slightly drunk and on a night out, I thought “That’s close enough for a Crisis homage, even if it does pre-date it” and took a photo so I wouldn’t forget. I’ve included it in the homage page along with a bunch of new/better ones. Posted on Tuesday, December 6, 2016 Monday, December 5, 2016 by GaryPosted in UncategorizedTagged Crisis on Infinite Earths, Star Wars.